Photo credit: http://blogs.reuters.com/faithworld | This is how we do it. Fathul Bari Mat Jahya gave a religious talk on Islam on 28 February 2010 in Kuala Pilah out of his house to non-family members. He was arrested and charged for doing this by the Negeri Sembilan State Religious Authorities. A second person was arrested and charged for aiding and abetting him. Under section 53(1) of the Syariah Criminal Enactment (Negeri Sembilan) 1992 a Muslim is only allowed to teach Islam to his family members at his residence only. If he wants to teach Islam to any other person or out of his house, he needs a tauliah issued by the Tauliah Committee. A person who guilty of the Provision can be sentenced to a fine not exceeding RM 3,000, or imprisonment not more than 2 years, or both. This will be referred to as ‘the Provision’. A tauliah is akin to an accreditation and licence. The Tauliah Committee is comprised of the Mufti, who acts as the Chairman and between 3 to 7 others who are supposed to have the appropriate experience, knowledge and expertise in Islamic matters. Fathul Bari didn’t have a tauliah when he gave the talk. the Negeri Sembilan State Legislature exceeded its authority to make laws in creating the Provision. the Syariah Court has no jurisdiction (i.e. authority) to hear the case against him. What was Fathul Bari’s argument? Fathul Bari argued that the Provision breached Article 74(2) of the Federal Constitution, which states that a State in Malaysia can make laws for matters contained in the 2nd List of the 9th Schedule or the Concurrent List of the Federal Constitution. For the purpose of this case only the 2nd List of the 9th Schedule is relevant. It is known as the ‘State List’ because it sets out what laws a State Legislature may make. A State generally cannot make a law about an matter not stated in it. It cannot, for example, make a law about matter stated in the 1st List of the 9th Schedule which contains matters Parliament can make such as pertaining to the defence of the nation like the National Service Training Act 2003. Fathul Bari argued that requiring a tauliah to teach Islam is not an offence against the precepts of Islam. He contended there is no such offence in Islam. The State Legislature therefore does not have the power to create such an offence because it does not come under Item 1 of the State List. The court first considered what a ‘precept of Islam’ meant. It did this by referring to an earlier Federal Court decision of Sulaiman Takrib v Kerajaan Negeri Terengganu; Kerajaan Malaysia (Intervener) & Other Cases  2 CLJ 54. This case decided that a ‘precept of Islam’ is derived from the Qur’an and Sunnah, and covers 3 main area: belief (‘aqidah’), law (‘shari’ah’) and morality (‘akhlak’). the Mufti of Perak and the former Mufti of Perlis (who were for Fathul Bari and another) who opined that teaching Islam without a tauliah is not an offence against the pillars of Islam. However, it was an offence under the administration of Islamic Law. They conceded that a tauliah was an important mechanism to ensure that the Islam taught was in line with the Qur’an and Sunnah. Despite this they claimed there is no authority from the Qu’ran or Sunnah that a tauliah was required to teach Islam. the Syariah Legal Adviser at the Attorney General’s Chambers, the Mufti of Negeri Sembilan and the Chairman for Aqidah from the Islamic Religious Council of Negeri Sembilan (who were for the Negeri Sembilan State Islamic Authority and others) who opined that a tauliah is necessary before Islam can be taught. They relied on a Sunnah as authority. They also say that the Provision is an direction made by Ulil Amri (an authority on Islam) which is obligatory for Muslims to abide by. Obedience to a direction by Ulil Amri constitutes a precept of Islam. The court took the view that despite their differences both opinions agreed on a need for the teaching of Islam to be regulated to prevent deviant teachings. The tauliah is therefore an appropriate mechanism to achieve this purpose. Only a person qualified to teach should be allowed to do so. The court said that when deciding what was considered as a precept of Islam, a wide and liberal interpretation should be applied. It declared that the purpose of the Provision was clearly to protect the integrity of the belief, law and morality, which together make up the precepts of Islam. A deviant teaching is against the precept of Islam so by implication the teaching of Islam without a tauliah is an offence against the precepts of Islam. The court said that Fathul Bari’s arguments are ‘devoid of any merit’ and dismissed his case. Firstly, a tauliah is required by anyone who wishes to teach Islam to someone not part of his family and outside of his home. What he can teach is regulated by the State Islamic Authority. Secondly, any Syariah enactment created by a State that regulates the belief, law or morality of Muslims will be valid. The State has the power to make such laws and it is within the scope of its power under the Federal Constitution. Thirdly, any future interpretations by the court about what is to considered a precept of Islam should be given a wide and liberal interpretation. If a matter is somehow related to the belief, law or morality of Muslims, it should be considered as a precept of Islam. Fourthly, obedience to a direction by a State Islamic Authority is considered a precept of Islam and it is obligatory for Muslims to follow it. Fifthly, a Muslim is not supposed to have their own ideas about Islam. They must abide by a State Islamic Authority’s outlook and ideas about Islam because the court thinks that a difference in opinion about Islam would lead to a division within the Malay Muslim community. What can be said of this decision? Firstly, the syariah enactment is limited only to the teaching of Islam to non-family members outside one’s home. It does not limit the teaching of Islam to one’s own family members inside one’s home, which can be different from the Islam the State Islamic Authority promulgates. 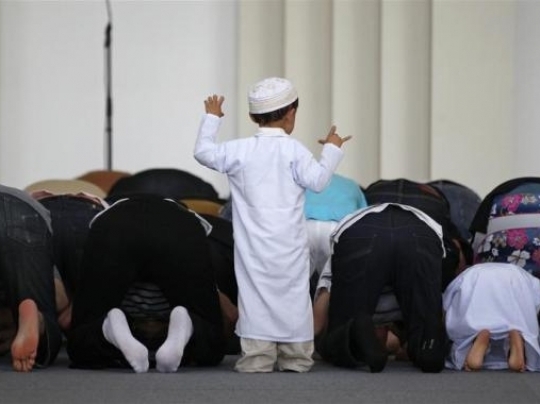 Furthermore, the teaching of Islam within and from one’s own family would often be one’s first exposure to Islam instead of an outsider with a tauliah. So the enactment requiring a tauliah does not prevent a ‘deviant teaching’ or prevent ‘division’ within the Islamic community. Secondly, just because a tauliah is issued to someone, there is no certainty that what he actually teaches would be consistent with the Islam the State Islamic Authority (SIA) promulgates. An analogy would be the issuance of a driving licence. Just because a person has a licence does not mean that he will not commit traffic offences. The SIA are aware of this because section 52 Criminal Syariah Enactment 1992 (CSE92) criminalizes deviant teaching of Islam. Thirdly, and conversely, just because someone teaches without a tauliah does not mean that what he teaches is inconsistent with the SIA’s version. Fourth, the Federal Court made no attempt to satisfy itself on an empirical basis that the issuance of a tauliah would have the effect of ‘maintain order and prevent division within the community.’ A determination of such a possibility is not simply a question of logic and so the Federal Court’s decision is based entirely on a speculative possibility. The Federal Court also appears to take a uncritical and simplistic view on the interpretation of ‘precepts of Islam’. It makes no attempt to explore its scope and constituents. The definition of ‘precept’ of Islam is too wide. It should have made a genuine and considerable effort to explore the concept of what a ‘precept’ of religion is. A precept is commonly defined as a direction, order or general rule to regulate thought. This definition however cannot be simply transplanted into the realm of religion. The judges made no attempt to consider what a precept of religion is with regards to other religions to discover the full extent of the words meaning. Further, a precept of a religion is simply the essential acts or beliefs required to claim participation in a particular religion. Where Islam is concerned, a person need only accept the 5 pillars of Islam set out in the Hadith of Gabriel to be considered a Muslim. These are: (i) recital of the Shahadah (ii) daily prayer (iii) almsgiving (iv) fasting during Ramadhan (v) pilgrimage to Mecca in one’s lifetime. So a deviant ‘teaching’ should be confined to what would lead a person astray with regards to relinquishing any of these 5 pillars. It cannot be simply anything that is found in the Qu’ran and the Hadiths. The supposedly expert opinions relied on and compared are not free from their inherent bias because they have an interest in regulating the teaching of Islam. They all held official positions that supported that line of jurisprudence. Their opinion should not have been considered. Or even if they had to be, a wider range of opinions should have been consulted and considered. Both sides were in agreement that the teaching of Islam had to be regulated but only differed on the issue of whether a tauliah was necessary. Furthermore, the supposed expert opinions opinions were very limited in their scope of Islamic traditions. For example, Malaysian Islamic law applies the main 4 Sunni schools of thought of Malik, Hanbali, Hanafi and primarily Shafie. It seemed to have escaped these experts that none of these great scholars taught Islam or gave opinions after obtaining a tauliah simply because there was no such concept in those days. Additionally, implicit in all the experts’ opinions is that there can be only a singular outlook of Islam that is issued by the State Islamic Authority. They appear to have forgotten the example set by Imam Malik. He was asked by the reigning Caliph Abu Ja’far Mansur on 2 occasions to produce a standard book which could then be promulgated as law. On the second occasion Imam Malik was told, ‘Once you have compiled such a work then we would be able to unite the Muslims in following the single fiqh worked by you. We would then promulgate it in the entire Muslim state. We would order that no body acts contrary to it.” Imam Malik declined both invitations. He was also reported to have declined Caliph Harun al-Rashid who made the same invitation. The common Malaysian Muslim’s faith is easily swayed. Further, they are not very intelligent because the merest deviant teaching would create ‘division within the community’. They have no faith in the Malaysian Muslims resiliency of faith. Diversity of opinion necessarily results in division in the community which leads to conflict which does not allow for ‘order’ to prevail. It does not occur to the judges that a difference and diversity of opinion does not result in conflict. It will lead to the stifling of the diverse yet legitimate views about and of Islam. It will create a static and authoritative outlook of Islam that has no history in Islam itself. It will affect the the intellectual dynamism and vibrancy of Muslim intellectuals in Malaysia, restrict critical thinking and so stifle Islam’s growth, and encourage if not validate fundamentalism. 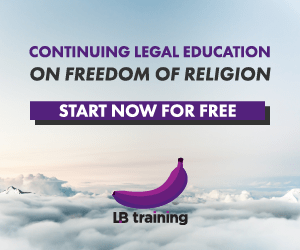 Islamic criminal law can be used to deny certain individuals that are not favoured by political government of the State from speaking about Islam. By deciding that obedience to a State Islamic Authority’s direction is considered a precept of Islam and so obligatory for Muslims to follow it, the decision has legitimized the ability of the State Islamic Authorities to make rules of behaviour for Muslim Malays without any supervision or limit so long as it has an ‘Islamic’ sheen about it. It also has the effect of defeating any attempt by Muslims to challenge purportedly Islamic laws created by the State Islamic Authority. The case however leaves it open for Malaysian Muslims to challenge State Syariah enactments to test and ensure that laws passed for Muslims by any State Islamic Authority are consistent with the fundamental liberties provided for in the Federal Constitution. Where it relates to this case, it is still open to test whether the Provision is constitutional in view of the right to freedom of expression (Article 10(1)(a) of the Federal Constitution) and the right to freedom of belief (Article 11(1) of the Federal Constitution). Posted on 3 August 2012. You can follow any responses to this entry through the RSS 2.0. If a lawyer need to be certified to practice law, so does Islamic cleric..do not practice prejudice when religion is concern. These people may not be as smart as you accademicly..but they are assign due to their knowledge. Furthermore what guideline do you propose for person who preaches islam? Islam is the great religion and every country lives the Muslim and believes on Islam. Islam is very popular religion and accepts the every Muslim. Islam has basis five pillars .It is not easy for you to get someone to do the assignment writing for you without correcting it now and then. An interesting one but tell me this…. I often blog about Islam yet I have not got one of those magic 'tauliahs', so do many Malaysian Muslims. How much trouble are we going to get into if these people decide that we've become a nuisance (because that will be what such a thing is used for; for when you piss off the wrong people)? I'd look forward to that going to court, server law is a nightmare! Oh and I agree completely; how stupid do they think we Muslims are?! I hate being treated like a child by these arrogant people who think they know better than me! It is more telling about their personality than ours really since one's actions are a reflection of oneself.